Cupcakes 'n Daisies: Back on that Tral . . . So now that my April Schnibbles, Summer Fun, is done it's back to making nine patches for Settler's Trail. I think I need around a bazillion 2 inch nine patches........ 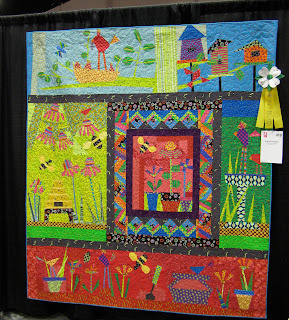 Since that doesn't make for very interesting blog posts I'll share a few more of the quilts from the AQS Show in Paducah. My red and white quilt was in category 900 - 1st AQS Paducah Entry - Large. Here are the quilts that won that category. Pat's Promise by Patricia Isaman from Harrodsburg, Ky took third place. This is an original work with blocks created from Pat's everyday life on her little farm. 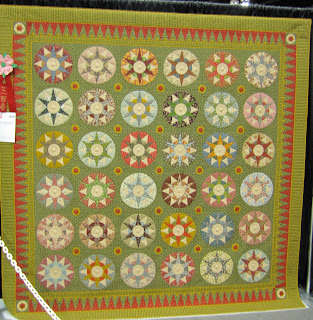 The Compass Quilt by Kathleen McLaughlin form Noank, CT placed second. The pattern is Muncy Compass Quilt by Grick, Neff and Youngman. Kathleen added her own border. 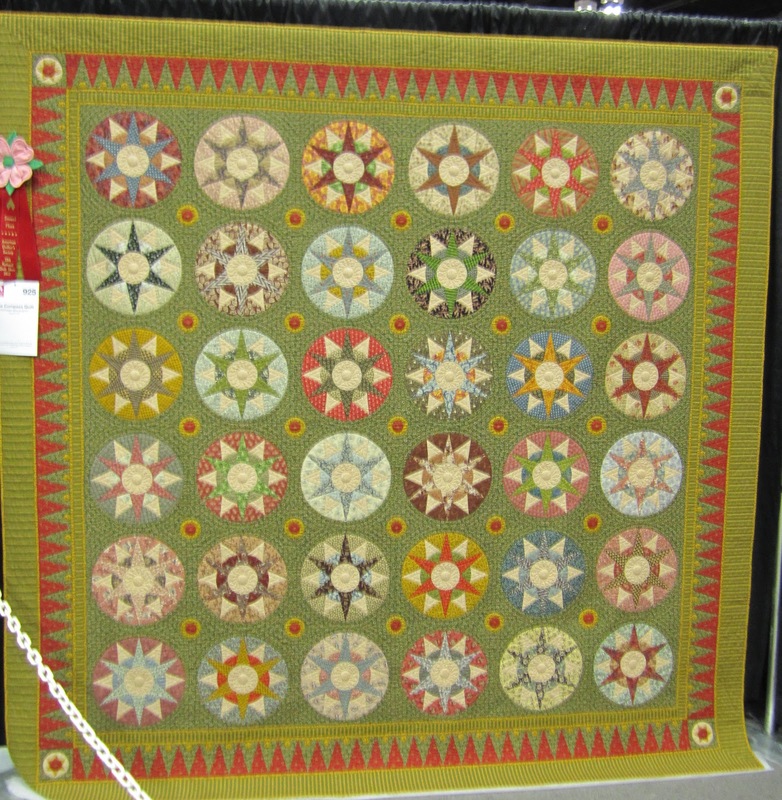 This quilt has placed first in two other quilt shows. Royal Amethyst by Rachelle Denneny from Glenelg North, Australia placed first. This picture does not come close to doing this quilt justice. The quilting is amazing plus this top is adorned with 21,000 Swarovski crystals. Rachelle has won honors for other quilts at other shows and teaches machine quilting.